BELGRADE (Serbia), December 20 (SeeNews) - Agricultural chemicals maker Galenika Fitofarmacija [BEL:FITO] generated the highest turnover and led the blue-chip gainers' list on the Belgrade Stock Exchange on Thursday, as share indices ended down, bourse data showed. A total of 157,900 of Galenika Fitofarmacija' shares changed hands, generating a turnover of 434.2 million dinars. The company closed up 1.85% at 2,750 dinars. 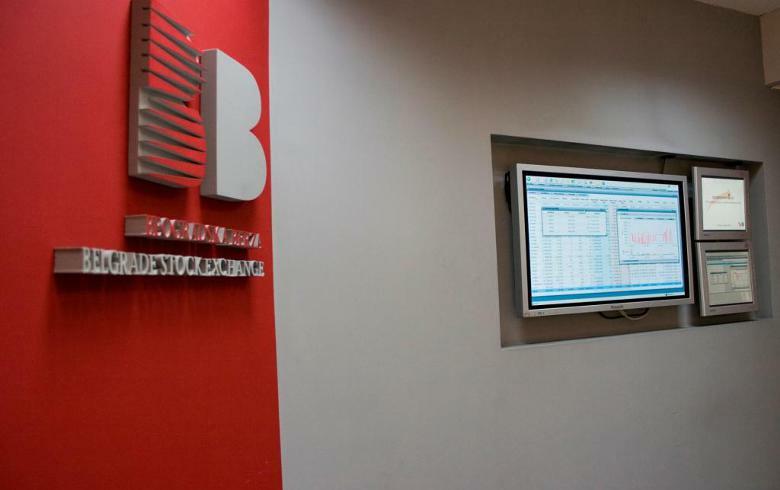 The BELEX15 index, which tracks the most liquid shares on the Belgrade bourse, went down 1.45% to 750.98 points on Thursday. The index rising 1.11% on Wednesday. The broader BELEXline, a free‐float market capitalisation weighted index, closed down 0.93% at 1,564.64 points on Thursday, after growing 0.81% on Wednesday. Civil engineering group Energoprojekt [BEL:ENHL] paced the blue-chip decliners, as its share price fell 4.76% to 600 dinars. The total stock trading turnover on the bourse decreased to 449.1 million dinars ($4.4 million/3.8 million euro) on Thursday from 63.7 million dinars on Wednesday, as 107 share transactions were carried out. Trading on the multilateral trading facility (MTP) of the bourse came in at 205,300 dinars.